In this project we intend to study cortical network phenomena accompanying brain plasticity effects relevant to short- and long-term memory processes.  The overarching aim is to enhance e-science approaches for studying brain networks developed at KTH and KI, and inject corresponding informatics workflows into the environments at SUBIC. PH plans to advance an existing spiking and non-spiking large-scale neural network models to simulate memory phenomena in close collaboration with AL. These simulations will contribute to the advancement of an integrated conceptual framework for short- and long-term memory, unified by a Hebbian-type synaptic plasticity operating at different time scales. The theoretical framework for cortical memories is currently being built by the KTH partner upon their recent developments on an improved theory of synaptic working memory (Fiebig et al, 2017; Lundqvist et al, 2018). This project will facilitate the validation of our hypotheses in a large- scale network model, which is constrained by experimental data collected in well-controlled memory studies by the SU (SU Brain Imaging Centre, SUBIC) and external partners. The enabling factor in these investigations is the understanding and recognition of memory representations so that the associated memoranda can be dynamically tracked during experiments. The SU partner has started working towards an experimental platform to untangle (olfactory) components of long-term episodic memory correlates using rodents. We also intend to incorporate human neuroimaging tools such as functional magnetic resonance imaging (fMRI) used by the KI partner in non-invasive experimental studies of neural correlates of cognitive function. The KI partner also has developed a toolbox to quantitative estimate functional brain connectivity (see e.g. Thompson et al, 2017). In humans, the methodological focus is to model the dynamics of system-level memory-related brain activity by unifying concepts in temporal network theory, time-series analysis, image analysis and artificial intelligence. We aim to formulate a framework for a network-based perspective to classify memory-related brain disorders. The proposed method development will give clinicians/researchers improved ways of quantifying system-level and distributed mental processes in time. We will apply graph theoretical metrics (partly developed by the KI partner) to enhance our understanding of the brain’s memory processes in a clinical setting. This approach isexpected to provide a promising avenue for method-oriented research of network-based modelling of human brain function that allows for measuring brain connectivity dynamics at unprecedently high temporal resolution. In summary, all the partners, in collaboration with the ML MCP, will be engaged in the development of suitable data analysis tools to facilitate further research into memory representations as well as dynamical functional connectivity. The collaboration will be built on the joint postdoc receiving primary supervision from JO and ML (SU) and secondary supervision from PH and AL (KTH).  The main responsibility of the postdoc will be to develop computational infrastructure and construct workflows for processing experimental data at SUBIC and, with the support of the KTH partner, to build models integrating the accumulated experimental evidence towards understanding cortical memory phenomena. If we can keep the earlier Brain-IT budget at KI (see excel sheet) a co-funded PhD student at KI will extend and apply the KI partner’s software for the project. With a reducedbudget the KI PI (PF) will instead devote some of his time towards the MCP collaborations.